The vines’age (over 70 years) and its terroir of hillside from clay-sandy grounds make of Les Perrières the flagship of our wines. 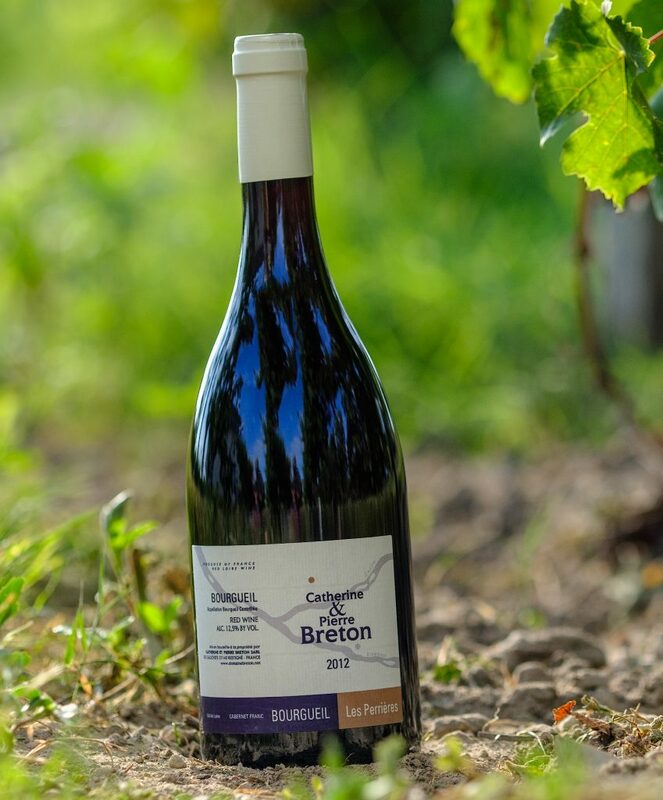 The regularity due to the low yields and our involvement on this terroir offer a basket full of red berries on a bed of straight but charming tannins. « When decanted, this wine suggests its full dimension, tasty (note of clafoutis) with a vibrant chalky frame. Great wine. »Extract R.V.F. Aromatic style: the regularity due to the small yields and our complicity with this terroir give a bit of time in decanter allows the wine to reveal all its dimensions. Definition of Perrières: old vineyards on the hillside of Bourgueil, produces very structured wines for ageing. The most beautiful slopes of Bourgueil. Clay-silex terroir. Grapes are destemmed before three weeks of alcoholic fermentation, juice and skins in the presence of native yeasts and without the addition of SO2. Malolactic fermentation follows. 70 year old vineyards on siliceous soil at the surface, followed by clay-limestone beneath Hillside of Bourgueil. Exposure to the South. Certified organic. In barrel between 20 and 36 months according to the vintage wines.